Anatova is a ransomware-type virus that was discovered on January 16th by security researcher Valthek. While most malware of such type adds an extension at the end of the file, this one does not but does make all data inaccessible to its owners. After the encryption is complete, Anatova virus contacts a remote server to retrieve ransom note ANATOVA.TXT which explains what happened to the victims' computers. Users are prompted to pay 10 DASH cryptocurrency to the provided address and then email hackers via anatova2@tutanota.com or anatoday@tutanota.com. 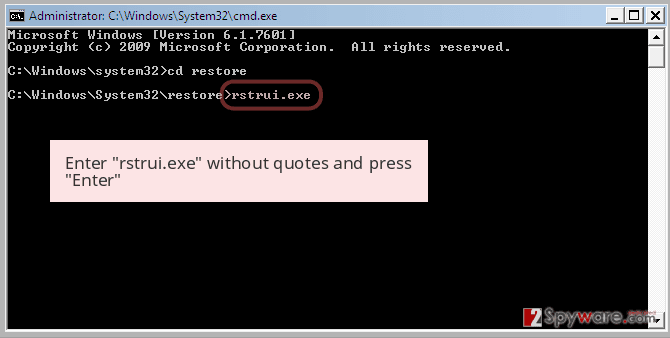 The associated executables of the virus are CallOfCthulhu.exe, 170fb7438316.exe, and anatova.exe. Distribution Spam emails, malicious files, hacked websites, drive-by downloads, fake updates, brute-force attacks, etc. Anatova ransomware is a fairly new infection and does not seem to have connections to any known ransomware samples. Nevertheless, at the time of the writing, 35 AV engines on Virus Total detect the threat and Reimage, which is based on the Avira scan engine, is one of them. 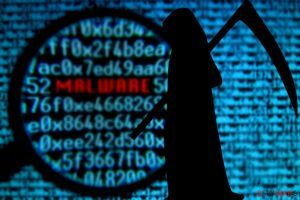 Therefore, Anatova ransomware removal attempts might be unsuccessful if the anti-virus software does not identify it. Soon after the installation, Anatova virus modifies Windows operating system to gain persistence and starts a system scan that seeks for files with pre-determined extensions, for example, .jpg, .doc, .mp3, .avi, .xtml, .html, .dat, .pdf, and many others. The data is then encrypted with a strong encryption algorithm which makes it unusable. As evident, crooks are willing to decrypt one picture file for free in order to prove that decryptor does work. Nevertheless, even it does work, and the test decryption is successful, it does not mean that Anatova ransomware authors will send the required unique key. They can simply ignore victims and keep the 10 DASH, which is approximately $700 at the time of the writing. Additionally, paying criminals will prove them that ransomware works and is a lucrative business, encouraging them to create new, improved viruses that blackmail people. Therefore, do not contact hackers and remove Anatova ransomware instead. While there is no decryption tool created for this particular virus yet, there are other methods that could work to recover the encoded data. If you had backups on a virtual or physical drive, you would be able to restore all your files without a problem, as long as you get rid of Anatova ransomware first. If you did not prepare any backups, try data recovery software from third parties. We included all the instructions below, so make use of them. The reason why ransomware is so devastating is that people are not ready for it. They do not expect to get infected, neither do they use adequate protection measures. However, file locking malware is much more devastating than, let's say, adware, as it can lead to permanent personal data loss. Additionally, those who decide to pay crooks for the valuable data might lose the money as well. Anatova ransomware removal should not cause any difficulties to most of the people, as long as reputable anti-virus software is used. We recommend choosing Reimage, although other security software can be useful as well. Anatova virus might interfere with the normal operation of the security program. 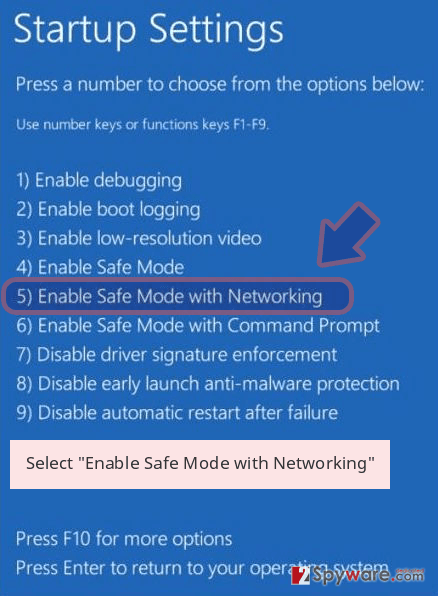 In such a case, we suggest you enter Safe Mode with Networking and perform a scan from there. 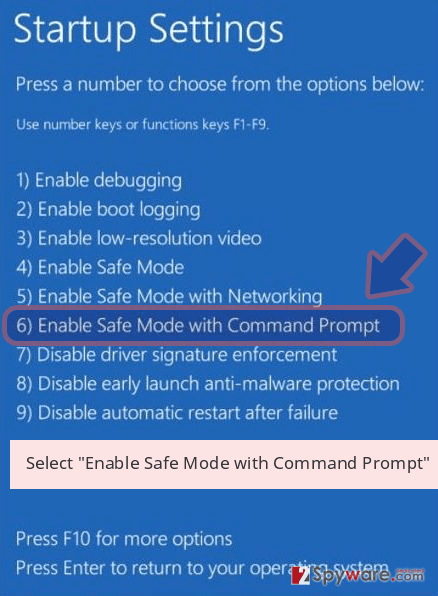 This mode is a safe environment in which most or malware's functions are disabled. Once you remove Anatova ransomware from your device, proceed with file recovery. Connect to your backup device and copy all the files to the desired folder. Alternatively, check our guide for data recovery software below. Log in to your infected account and start the browser. Download Reimage or other legitimate anti-spyware program. Update it before a full system scan and remove malicious files that belong to your ransomware and complete Anatova removal. 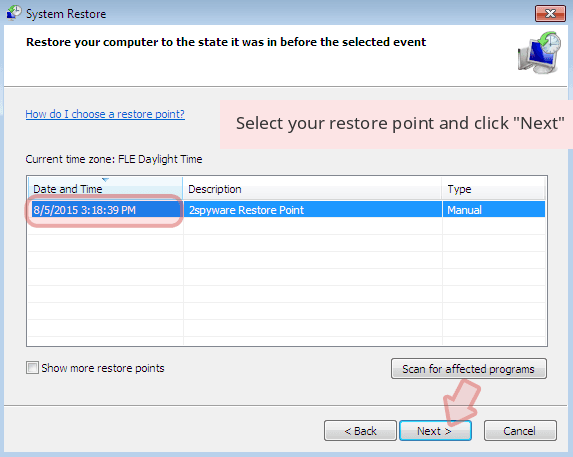 When a new window shows up, click Next and select your restore point that is prior the infiltration of Anatova. After doing that, click Next. 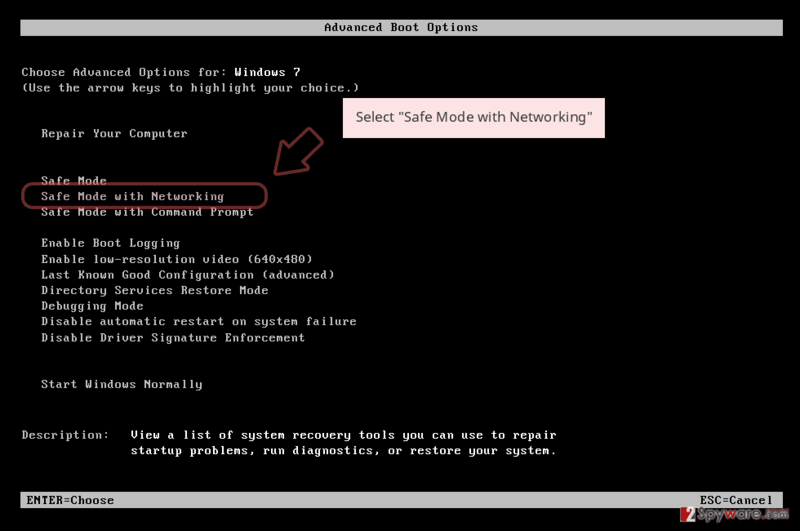 Once you restore your system to a previous date, download and scan your computer with Reimage and make sure that Anatova removal is performed successfully. 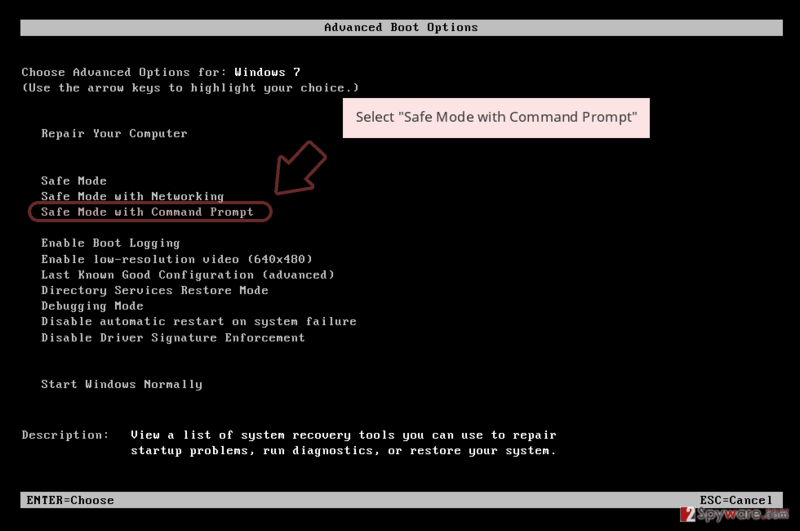 Guide which is presented above is supposed to help you remove Anatova from your computer. To recover your encrypted files, we recommend using a detailed guide prepared by 2-spyware.com security experts. Data Recovery Pro is professional recovery software that can sometimes help ransomware victims. 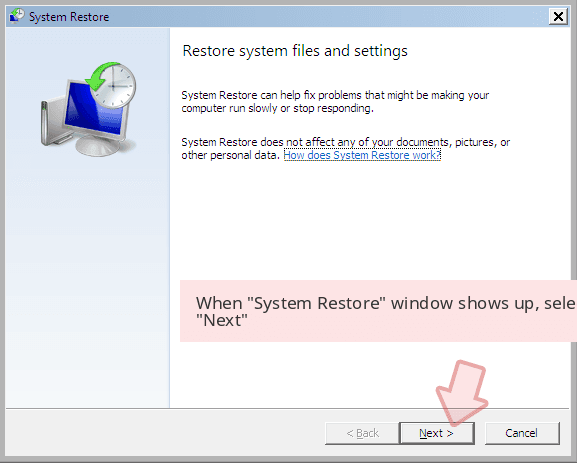 If you had System Restore enabled before ransomware infected your PC, you could restore some files using this feature. In case Anatova ransomware failed to remove Shadow Volume Copies, ShadowExplorer will be able to recover all your data. ^ CallOfCthulhu.exe. Virus Total. File and URL analyzer. ^ SemVirus. SemVirus. Cybersecurity experts. ^ Tom Warren. Adobe will finally kill Flash in 2020. The Verge. 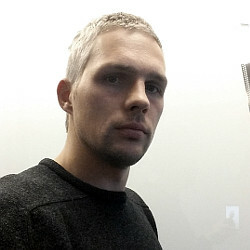 Technology news and media network. This entry was posted on 2019-01-18 at 05:20 and is filed under Ransomware, Viruses. You can quickly scan the QR code with your mobile device and have Anatova ransomware manual removal instructions right in your pocket. How did you remove Anatova virus?